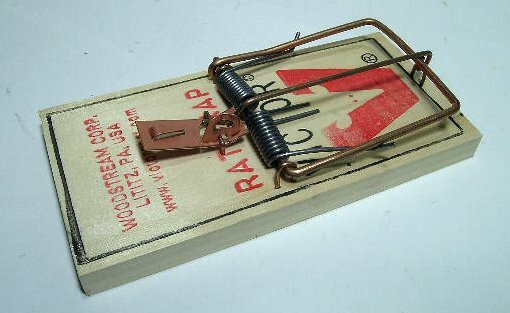 PRODUCT DESCRIPTION: The rat trap has been around for a long time yet it's still effective. 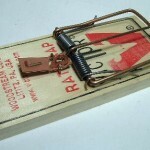 Rat traps are still a good tool to help with a small rat infestation. If you have a big infestation, other methods will have to be used as they become afraid of this design since it is smashing anything which comes close to it. When such noise and action happens over and over again, rats will learn to avoid the device.